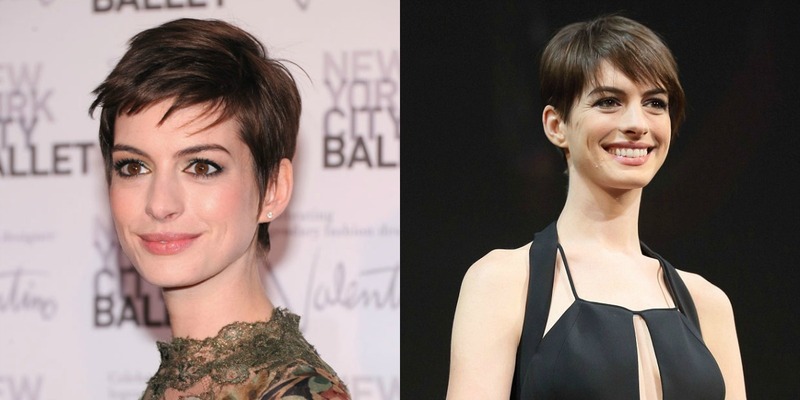 When Anne Hathaway first cut her hair for the role of Fantine in Les Miserables (which I cannot wait to see!) everyone went into overdrive about the severe look, and many were undecided on whether it suited her or not. I thought she looked stunning, and even with the inch long style - which showed off her amazing features, she still looked stylish and I couldn't wait to see whether she started to grow it out, or kept short. Well, it's grown, and the cute elfin crop she's sporting now is just gorgeous. Perfect for her face shape, and really suits her. I love the longer fringe, chopped into to give texture and shape. I have to say I think I prefer Anne with shorter hair. Makes her really stand out from the crowd. And I love this picture of her, taken the January issue of Glamour. Stunning! Couldn't agree more on that front, Halle Berry looks amazing with short hair. Not a fan at all of her short hair. I think it's brave that she had it all shaved off for the Les Mis movie, but still, she's got such a feminine face, she needs long hair!